A Binding Financial Agreement (or ‘BFA’) is a private agreement between two people who are or have been in a relationship or marriage and wish to formalise their financial affairs. A BFA can be utilised before entering into a relationship or marriage, often called a ‘pre-nup’, to set out what each of the party has at the commencement of the relationship. A BFA can also be utilised during or at the end of a relationship or marriage to transfer property, assets and debts and sever the financial ties without Court intervention and to suit the parties. Binding Financial Agreements are drafted by one of the parties solicitors before both parties must sign the document after receiving independent legal advice. If one party does not receive legal advice before signing, the agreement will not be binding on the other party. Binding Financial Agreements are confidential and each party will receive a copy once executed. The parties can then use the Binding Financial Agreement to transfer property to either party, or sell it if necessary, as well as deal with other assets such as cars and shares. Binding Financial Agreements are suitable for parties when they agree as to the distribution of their property at the end of the relationship and do not wish to utilise the Court system. These agreements are fast and easy and can provide the parties with a resolution to their complete financial affairs without the need for a Court application or substantial financial disclosure. There is no scrutiny of a Court with a BFA, whereas there is with a Consent Order. The risk is that one party may receive more or less than they should or ought to if the Court is involved. The other risk is that despite executing a BFA, one party can still elect to file an Application for property division in the Court and a BFA will not act as a barrier to Court action, but the agreement may well be relevant to the proceeding. Consent Orders are Orders granted by the Federal Circuit Court or Family Court of Australia upon application by both parties seeking to end their financial relationship and/or make arrangements for their children. These Orders can also make provision for spousal and/or children’s maintenance. Once an Order is obtained, the parties can utilise the Order to sell or transfer their property, cars, shares and debts on a final basis. Both parties need to complete an Application for Consent Orders form and jointly draft Orders they are seeking about how to deal with their property and children. Both parties need to sign the Application and Orders and agree that the arrangements are fair, just and equitable in all of the circumstances. The main difference between a Court Consent Order and a BFA is that a BFA is not scrutinised by the Court or any other person. Consent Orders are scrutinised by the Court and can be rejected if a Judge or Registrar does not think that the arrangements are fair, or are not fair enough to one party. Consent Orders also require more disclosure and can be more comprehensive than BFA’s. A Trial in a Family Law matter means that each party will get to ‘have their say’ in a Court setting. It is a civil proceeding and each party is required to file an Affidavit setting out their version of events and what they say about the relationship. The Affidavits set out what each party is seeking and the Court will listen to each party before making a decision as to what Orders are appropriate. Trials can be for financial matters, maintenance and/or children, or a combination of these. Trials generally involve high cost and emotional distress. Both parties have to file Affidavits as well as attend at a Trial, which may last for several days or even weeks. Generally, parties will need to utilise solicitors and barristers as well as endure being cross-examined by the other parties legal team, which can be stressful, emotional and invasive. Trials mean that a person’s ‘story’ about their intimate personal relationship with their former spouse is opened up to scrutiny and can become public. Trials can also result in unfavourable outcomes for both parties and potentially cost orders. The costs of a trial can be in the thousands to the hundreds of thousands of dollars, per party. The property pool of the relationship can easily be eroded away by legal fees leaving both parties in a significantly financially worse off position than before. Going to trial is generally a very unpleasant experience and we will always endeavour to save parties the costs and stress of this process by settling matters with a former spouse by way of negotiated agreement or mediation, wherever possible. Consent Orders can be obtained for arrangements for the care of children, including the making of an existing parenting plan into a formal Order, or drafting of a new plan for how the child or children will see and spend time with both parents. A parenting plan can detail specific arrangements including the days spent with each parent, arrangements for special days such as Christmas Day, the child’s birthday, Easter and school holidays as well as arrangements around collecting the child from day care or school, communication and long term decisions. Maintenance or support arrangements for the primary carer and/or children can also be included in the one set of Orders. A range of professional skills are often needed to manage the resolution of legal matters arising from Family Law matters. 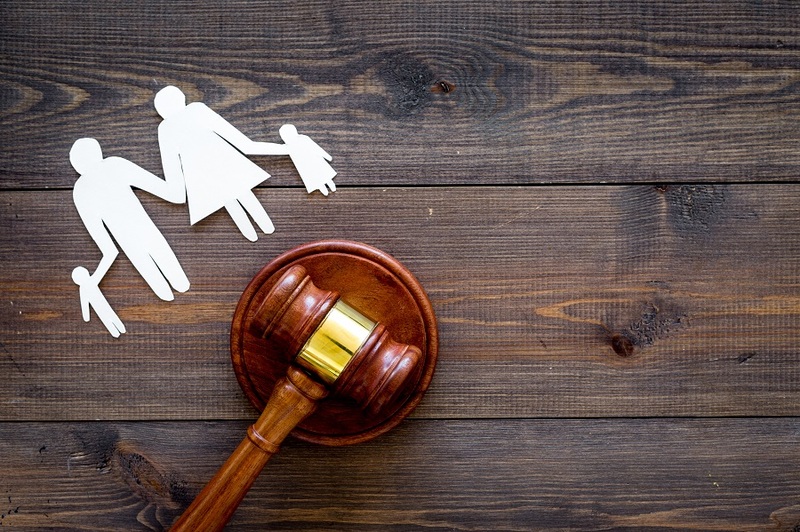 Our Firm’s practitioners have a combined 25 years experience practicing in Family Law. This level of experience makes our practitioners well equipped to handle the most challenging of matters. Should you need assistance with your family law matter, feel free to contact us. You can phone us on 07 5351 1185, alternatively you can book online.